The game takes place during the events of Resident Evil 2 and Resident Evil 3: Nemesis, and is set in Raccoon City, whose residents have been turned into zombies after an outbreak of the t-virus, a biological weapon developed by the pharmaceutical company Umbrella. Players will take the role of an officer of the Umbrella Security Service (USS). They have a vastly different objective compared to the Spec Ops opposition: Members of the USS are tasked with destroying evidence of Umbrella\'s illegal activities, including killing survivors of the outbreak, while the Special Operations team has to expose the actions of the company. Operation Raccoon City will allow the player to make major \"what-if\" decisions such as killing Leon Kennedy, one of the main characters of Resident Evil 2 and the protagonist of Resident Evil 4. 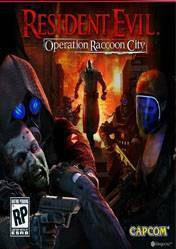 There are no comments yet about Resident Evil Operation Raccoon City . You can be the first one!